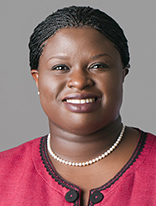 Saturday, November 8 will be the date for our 10th annual Fall Media Forum, featuring University of St. Thomas law professor Nekima Levy-Pounds as our keynote speaker. Dr. Levy-Pounds is the director of the Community Justice Project (CJP), an award-winning civil rights legal clinic, and Board Chair of the Minnesota African American Museum and Cultural Center. The Forum will be held from 9 a.m. to 3 p.m. at the University of Minnesota’s Urban Research and Outreach-Engagement Center (UROC), 2001 Plymouth Ave. N., Minneapolis. Watch for another email, coming soon, with registration information and more details about this exciting event. On Wednesday, October 22, the Twin Cities Media Alliance, NetSquared Twin Cities and MAP for Nonprofits’ MAP TechWorks are getting together for a Non-Profit Technology Happy Hour, to be held from 5-7 p.m. at Honey, 205 E. Hennepin, Minneapolis. We’ll feature a short presentation by Paulino Brener about Google Hangouts, but mostly it’s just a chance to network and socialize with folks interested in non-profits and technology. This event is free, with a complementary appetizers and a cash bar. Click here to register. Scroll down to read the reports from our staff, and a list of upcoming classes. September is always a very transformative month. Students gear up as they return to school. Areas of the city, calm from three months of humid laziness suddenly perk up, bustling with energy. While other areas suddenly slow down. Many people start preparing for a stretch of holidays ahead, and our televisions begin flooding with political ads as we approach November. And all around us, signs of a colder, darker season remind us that another year is coming to an end. We saw this transformation in our news this month as well. The city began exploring the option of banning e-cigs from indoor use, placing them under the same restrictions as other smoking products. The global warming debate resurfaced in full force, and reports of a declining Loon population hit home. Globally, we watched the Ebola epidemic in west Africa unfold, causing ripples everywhere, even here in Minnesota. And locally, we all watched a new push in transgender awareness and inclusion in our school activities meet opposition from anti-transgender advocacy groups. September is a month marked with the beginning of change, so take the time to step back and really see all that’s metamorphosing in front of you. Let us know what’s changing in your life right now. You can reach out by emailing me at editor@tcdailyplanet.net. It always surprises me how much my colleagues and I pack into a month—or a week or a day for that matter. September highlights included our first collaboration with St. Paul Neighborhood Network (SPNN), a very well received class on video storytelling taught by Hlee Lee. We also held our first class in our new office space, photographer Chris Bohnhoff’s debut as an instructor. However, topping my list of highlights was the Newsroom Café hosted by Lissa Jones at the Minnesota African American Museum & Cultural Center’s Carriage House. A first-time experience for most who attended, the conversation—and the openness with which people spoke was a rich experience. In October we’ve already participated in Latino Economic Development Center’s extremely successful “Face-to-Face with Experts” event. One of our instructors, Paulino Brener, met with several Latino business owners to share tips on how to use social media tools to their advantage. As a follow-up, Paulino will be teaching our first class in Spanish, “How to use social media to promote your business or organization,” at LEDC in early November. Get set for Give to the Max Day! To help you prepare, we’re teaming up with SPNN and former GiveMN.org staffer Jeff Achen to present a workshop on “Getting better results for your online fundraising efforts.” Don’t forget about our many social media classes at area libraries and please share your Daily Planet story ideas with editor Kristoffer Tigue and staff at upcoming Newsroom Cafes. Another busy month at the Twin Cities Media Alliance. Just a couple weeks ago, we welcomed Sabrina, Sarah, Jonas, and Aida to our internship program! In September, we held an incredibly powerful Newsroom Cafe at the Minnesota African American Museum (MAAM), co-hosted by MAAM Executive Director Lissa Jones. This Facebook class is for businesses that have a Facebook presence but want to optimize it further. We’ll cover strategic approaches for marketing on Facebook based on audience and business goals. This class will also cover Facebook advertising and promoted posts. Bring your tablet or laptop if you have one.Presented by Twin Cities Media Alliance and funded by MELSA. Discover how to use open source resources such as Word Press to develop a free or inexpensive website for your small business, community organization or blog. Web developers explain how to set up a site, how to navigate the settings and tips to generate traffic. Bring your tablet or laptop. This class will be taught by Andrew Barker. Thanks to our partnership with the Metropolitan Library Service Agency (MELSA), this class is offered free of charge, but pre-registration is required as space is limited. Facebook is a great tool to connect with family, friends and even customers. But where do you start and find the time to fit it all in? Learn how to set up a Facebook page, distribute consistent information, grow your followers and set up editorial calendars. Bring your tablet or laptop if you have one.Presented by Twin Cities Media Alliance and funded by MELSA. This class will be taught by Marcos Lopez-Carlson. Thanks to our partnership with the Metropolitan Library Service Agency (MELSA), this class is offered free of charge, but pre-registration is required as space is limited. Call the library at 651-793-3934 for information and to register. So many apps, so little time. Discover which apps should be loaded on your smart phone or tablet to improve productivity, plus how to use and organize them. Don’t miss this fast-paced and fun-filled session. Bring your smart phone and/or tablet. This class will be taught by Tony Hanson. Thanks to our partnership with the Metropolitan Library Service Agency (MELSA), this class is offered free of charge, but pre-registration is required as space is limited. So many apps, so little time. Discover which apps should be loaded on your smart phone or tablet to improve productivity, plus how to use and organize them. Don’t miss this fast-paced and fun-filled session. Bring your smart phone and/or tablet. Presented by Twin Cities Media Alliance and funded by MELSA. This class will be taught by Paulino Brener. Thanks to our partnership with the Metropolitan Library Service Agency (MELSA), this class is offered free of charge, but pre-registration is required as space is limited. Ever wonder how some websites rank in top Google search results for key terms? This class will give you a peak behind the curtain at the factors that Google looks at and help you refine your strategy for appearing in search results. Bring your tablet or laptop if you have one. So many apps, so little time. Discover which apps should be loaded on your smart phone or tablet to improve productivity, plus how to use and organize them. Don’t miss this fast-paced and fun-filled session. Bring your smart phone and/or tablet.Presented by Twin Cities Media Alliance and funded by MELSA. In this workshop participants will learn how to evaluate, tweak, plan and execute their year-round online fundraising efforts, as well as tips for Give to the Max Day on November 13. Join former GiveMN Digital Strategist Jeff Achen for this highly productive workshop that will help you take an honest look at your current online fundraising efforts and provide you with tips to take it to the next level and raise even more money. This class is offered in partnership with SPNN, St. Paul Neighborhood Network. Pre-registration is required. Jeff Achen is owner of CallSign51, a creative services company specializing in video production, photography and website design. He loves to use videography, photography, and graphic design to tell meaningful stories. Jeff also serves as a consultant to a wide range of organizations, both for-profit and not-for-profit, in the area of multimedia, communication and social media strategy. He facilitates workshops on media strategies for nonprofit organizations and coaches nonprofits on video production. Jeff has also been a panelist at our annual fall media forums. How can communications, storytelling, organizing, and advocacy work together to build towards transformative social change? This 2-part course, co-facilitated by Eleonore Wesserle and Cirien Saadeh, will provide a brief but deep dive into the role of stories in working for social justice. We’ll practice articulating both the stories we strive to dismantle and the stories we aim to elevate. We’ll discuss framing, how to build a transformative story, and tools for telling and distributing stories for social change. You have a story. What are you going to do with it and why? Part 2 is scheduled for November 6. Pre-registration is required. Cirien Saadeh is an organizer and communications professional with La Asamblea de Derechos Civiles and the Twin Cities Daily Planet. She has worked for E-Democracy, The UpTake, and AM950’s “Food Freedom Radio.” A graduate of the Organizing Apprenticeship Project, Cirien has been active in campaigns around transit equity, food justice, digital access and inclusion, and immigrant justice. She believes that storytelling is the most powerful tool that community organizers and leaders can develop and leverage to build equity in disenfranchised communities. Eleonore Wesserle is a trainer and facilitator with Line Break Media, building the capacity of organizations and individuals to tell their stories through traditional and digital media. Coming from an activist background, she helps organizations weave their communications strategy into their movement strategy so that both can become more effective. Social media tools allow you to connect with your customers, community and members, but when you run a small business or organization, time is valuable – where do you start? Do you create accounts on every platform and get lost in the clutter? Are all platforms relevant to your goals? Attend this session and learn what social media platforms would serve your business or organization best, where to start and how to leverage them for the greatest benefit. Bring your smart phone, tablet or laptop if you have one. This class will be taught by Tony Hanson. Thanks to our partnership with the Metropolitan Library Service Agency (MELSA), this class is offered free of charge, but pre-registration is required as space is limited. Call 651-272-8130 to register. Come and learn about Google Docs: Google’s version of documents, spreadsheets, forms, presentations, and drawings—all part of the Google Docs suite. Learn how to create, manipulate, manage and collaborate with Google Docs. This hands-on class is designed for anyone seeking easy ways to collaborate digitally. This class will be taught by Scott Artley. Thanks to our partnership with the Metropolitan Library Service Agency (MELSA), this class is offered free of charge, but pre-registration is required as space is limited. Discover how reporting can work best when you have a sounding board! Learn how you can join the ranks of our reporters, contributing articles, photographs, opinion pieces, blogs, videos to the Twin Cities Daily Planet. Already writing for us? Good. Come and pitch us story ideas, or get feedback on your current stories. You may not want to write the piece, but someone else at the table might. Rumors have it there may be snacks. Other rumors have it those snacks might be chips. Join TC Daily Planet editor Kristoffer Tigue, community engagement editor Cirien Saadeh, and other TC Daily Planet people. Many of our classes and Newsroom Cafes are held at the Twin Cities Daily Planet office (though many are not—see each class listing for location information). Our office is centrally located, but it can be a little tricky to find if you don’t realize that we are in the Wells Fargo bank branch at 2600 E. Franklin Avenue in Minneapolis. Free parking is available in the bank’s parking lot. If you’re traveling by bus, we’re right off the 2, 7 and 67 lines. If you’re coming by bike, there’s a bicycle rack just outside the building. To get to our office, ring the bell at the front door, shared with Triangle Park Creative. This class will be taught by Jay Gabler. Thanks to our partnership with the Metropolitan Library Service Agency (MELSA), this class is offered free of charge, but pre-registration is required as space is limited. This class will be taught by Andrew Barker. Thanks to our partnership with the Metropolitan Library Service Agency (MELSA), this class is offered free of charge, but pre-registration is required as space is limited. Call 651-275-4416 to register. Discover what’s out there and get introduced to the top social media platforms, including Facebook, Twitter, Tumblr, LinkedIn, Pinterest, Google+, Reddit, Snapchat and Instagram. Then decide for yourself which social media tools are right for you. Bring your smart phone, tablet or laptop if you have one.Presented by Twin Cities Media Alliance and funded by MELSA. Learn about products and services (often free) Google has developed to aid in collaboration, accessibility and business marketing. Now there’s Gmail, Gchat, Google Drive, Google+, Google Calendar, Google Maps, and much, much, more. A Google account gives you access to a world of powerful free tools. Learn the basics about how to make the best use of Google’s tools to achieve your personal and professional goals. Bring your tablet or laptop if you have one.Presented by Twin Cities Media Alliance and funded by MELSA. This class will be taught by Steffen Ryan. Thanks to our partnership with the Metropolitan Library Service Agency (MELSA), this class is offered free of charge, but pre-registration is required as space is limited. Call 651-275-4338 to register. *Introducción general a las Redes Sociales: ¿Qué son las Redes Sociales? ¿Por qué mi negocio u organización debe utilizar las Redes Sociales? *Mi negocio u organización en Facebook: Como crear una página en Facebook para mi negocio/organización, sus herramientas y como se usan las diferentes estrategias de mercadotecnia a través de Facebook. Paulino Brener es maestro, actor, director de medios de comunicación social y capacitador bilingüe originario de Argentina. En las ciudades gemelas, él ha estado participando en obras teatrales y danza. Desde el 2001 Paulino enseña clases español en las escuelas y en línea, utiliza el arte y los medios sociales para conectar y compartir con las personas que le rodean en cualquier parte del mundo. Paulino es un apasionado de las lenguas y la cultura, enseña a los niños artes escénicas, la herramientas tecnológicas como Google+ Hangouts, entre otras cosas. This class will be taught by Brian Roemen. Thanks to our partnership with the Metropolitan Library Service Agency (MELSA), this class is offered free of charge, but pre-registration is required as space is limited. Call the library at 651-450-2900 to register. Discover what’s out there and get introduced to the top social media platforms, including Facebook, Twitter, Tumblr, LinkedIn, Pinterest, Google+, Reddit, Snapchat and Instagram. Then decide for yourself which social media tools are right for you. Bring your smart phone, tablet or laptop if you have one. This class will be taught by Laura Krawczyk. Thanks to our partnership with the Metropolitan Library Service Agency (MELSA), this class is offered free of charge, but pre-registration is required as space is limited. Contact the Information Center at 651-275-4338 to register. How can communications, storytelling, organizing, and advocacy work together to build towards transformative social change? This 2-part course, co-facilitated by Eleonore Wesserle and Cirien Saadeh, will provide a brief but deep dive into the role of stories in working for social justice. We’ll practice articulating both the stories we strive to dismantle and the stories we aim to elevate. We’ll discuss framing, how to build a transformative story, and tools for telling and distributing stories for social change. You have a story. What are you going to do with it and why? Pre-registration is required. This class will be taught by Steffen Ryan. Thanks to our partnership with the Metropolitan Library Service Agency (MELSA), this class is offered free of charge, but pre-registration is required as space is limited. Call 651-266-7400 to register. This class will be taught by Paulino Brener. Thanks to our partnership with the Metropolitan Library Service Agency (MELSA), this class is offered free of charge, but pre-registration is required as space is limited. Call the library at 651-266-7000 to register. Have you ever heard that the best camera is the one you have with you? In today’s mobile-equipped world, the ability to film a video is right in your pocket or bag. In this workshop, you’ll learn and practice some fundamental tips for getting the best video you can from your smartphone, starting from setting up your default video app, to shooting tips, to uploading, sharing, and making simple edits in YouTube. You will learn these techniques on YOUR smartphone in this workshop, so please make sure to bring it with you! This class is offered in partnership with SPNN, St. Paul Neighborhood Network.Pre-registration is required. NOTE: A minimum of 8 students is required for this class to be held. Eleonore Wesserle is a trainer and facilitator with Line Break Media, which works with organizations and individuals on building their capacity to tell their stories through traditional and digital media. Coming from an activist background, she helps organizations weave their communications strategy into their movement strategy so that both can become more effective. ← You’re invited to the Daily Planet’s Pick of the Market dinner!